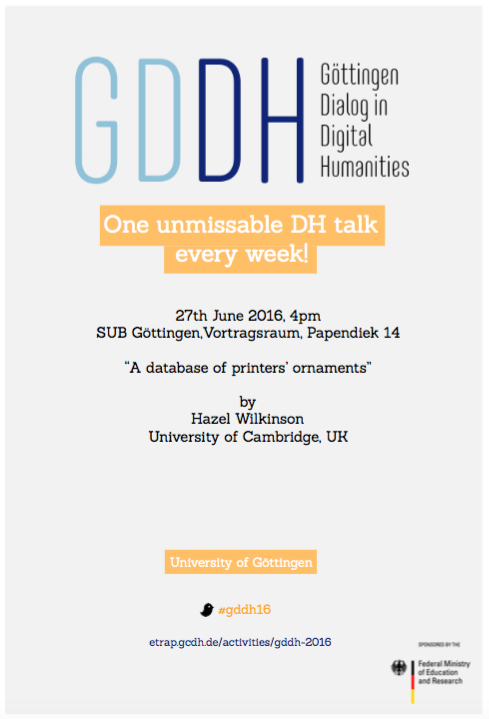 The talk will take place on Monday, June 27th at 4pm in the conference room of the Historical Building of the SUB, Papendiek 14, 37073 Göttingen. 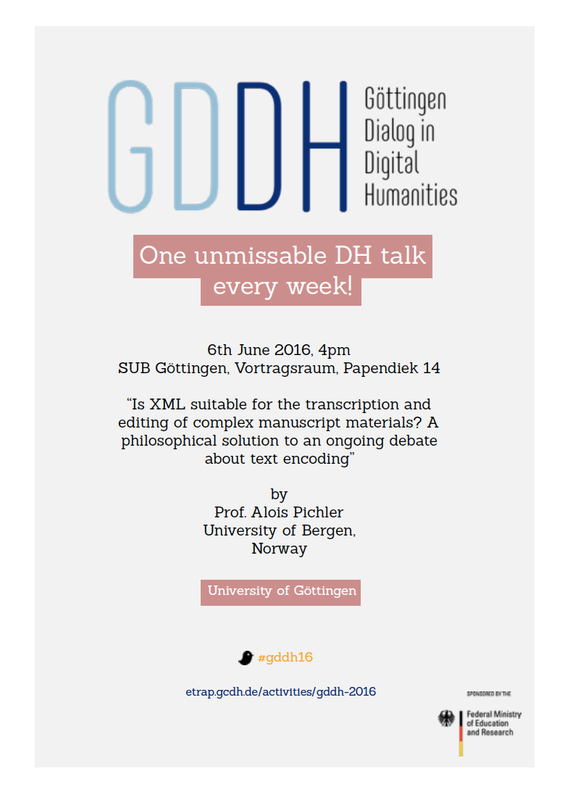 The talk will take place on Monday, June 20th at 4pm in the conference room of the Historical Building of the SUB, Papendiek 14, 37073 Göttingen. 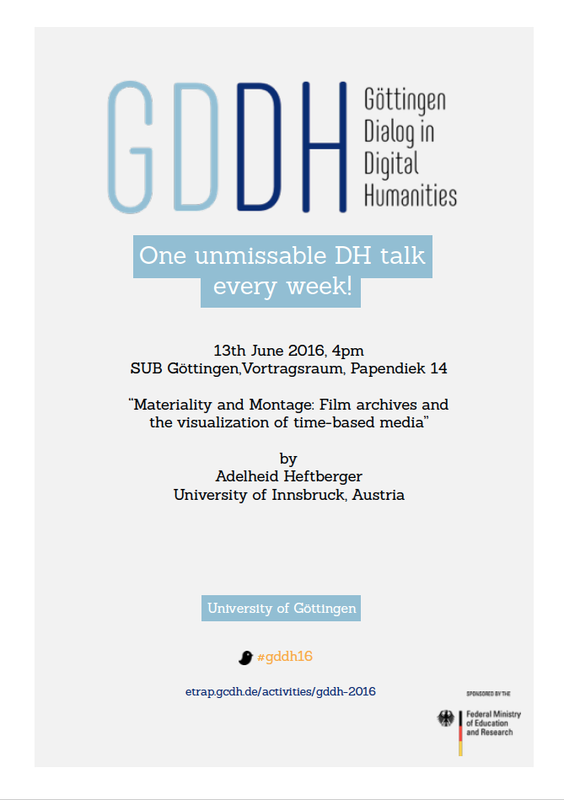 #GDDH Adelheid Heftberger: Materiality and Montage: Film archives and the visualization of time-based media, 13.6.16, 4 pm. 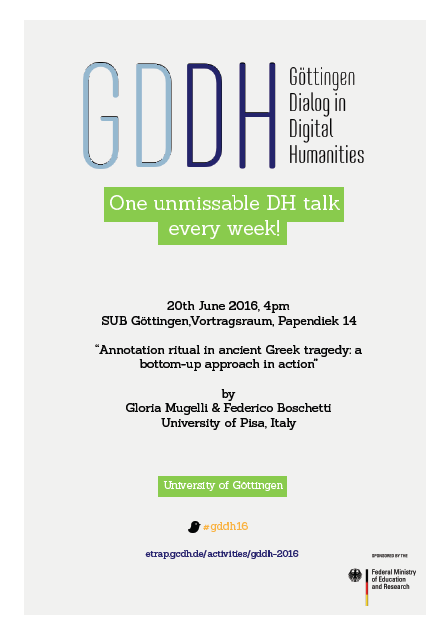 The talk will take place at Vortragsraum, SUB Historisches Gebäude, Papendiek 14, Göttingen.